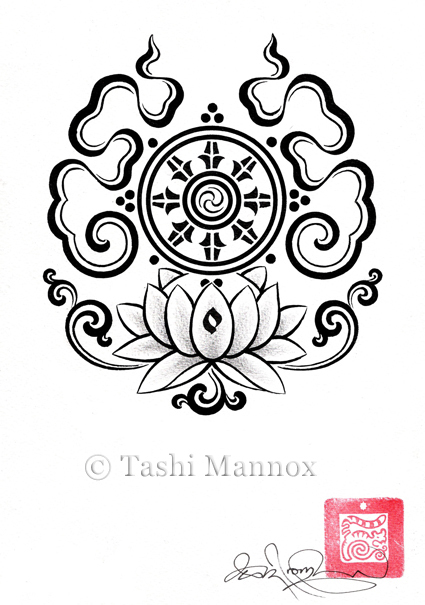 a 5 pointed star. 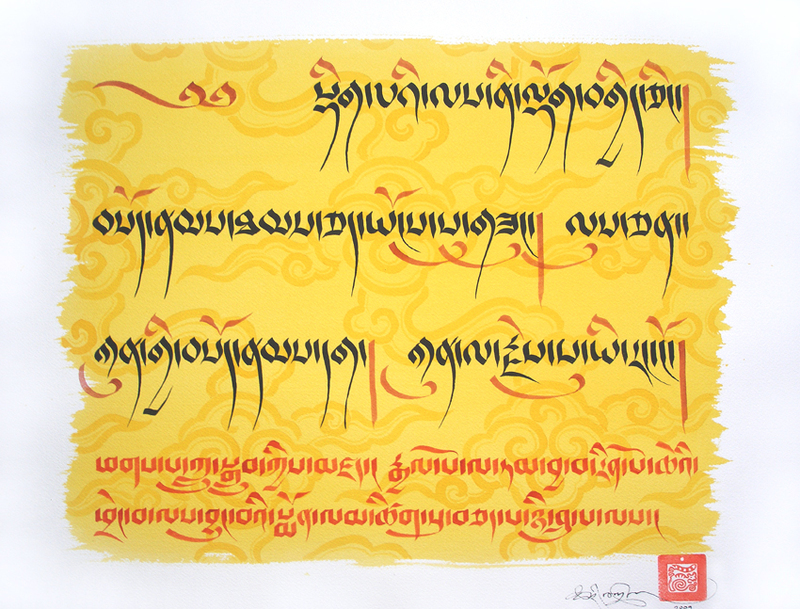 Tashi Mannox 2008. 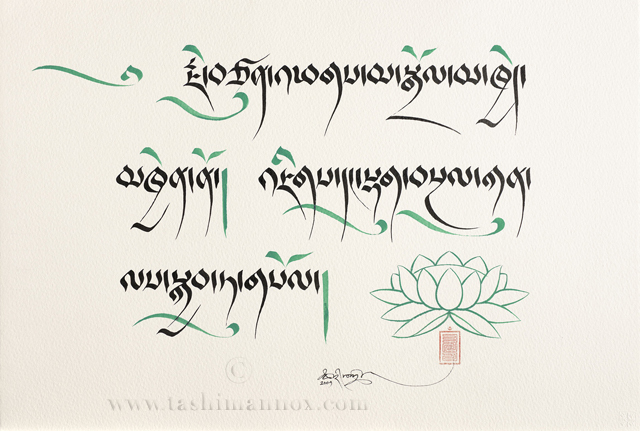 Available as a high resolution download here. 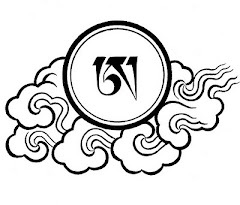 The Vajra, symbolic power of a thunderbolt. 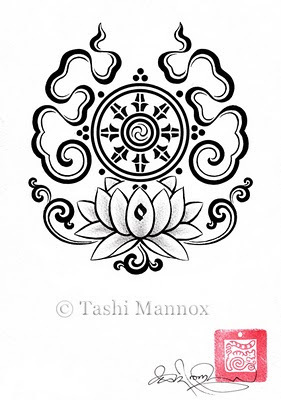 Copyright Tashi mannox 2009. 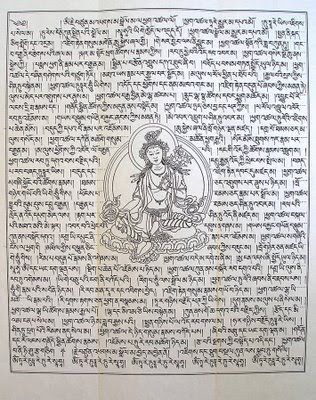 Vajrapani in Sanskrit, Chagna Dorje ཕྱག་ན་རྡོ་རྗེ། in Tibetan, is one of the main celestial Bodhisattvas, often grouped with the Bodhisattvas Avalokiteshvara and Manjushri. 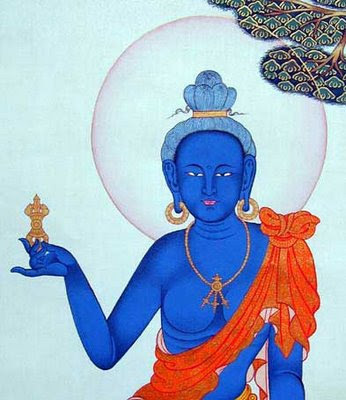 His name means 'Thunderbolt in Hand' . 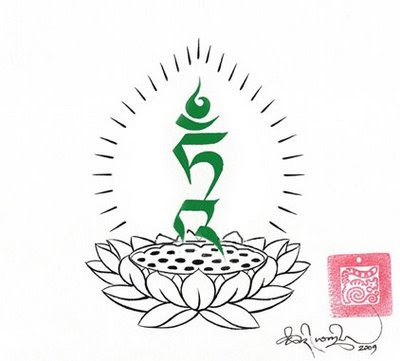 He represents the concentrated power of all Buddhas. 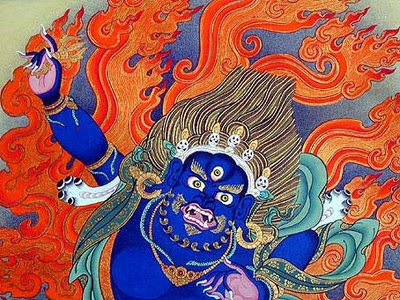 He is most frequently depicted in his fierce emanation, in which he is a powerful protector and remover of inner and outer obstacles. 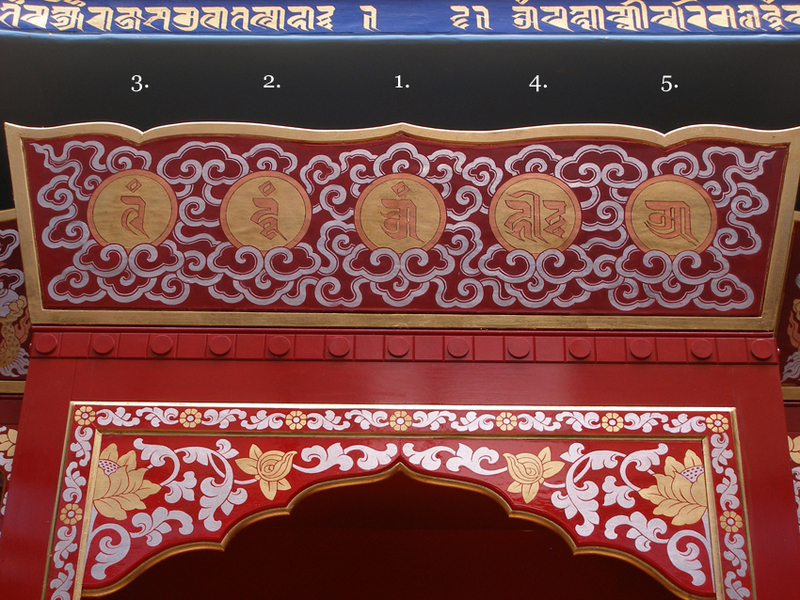 A detail of the Wrathful form of Vajrapani. 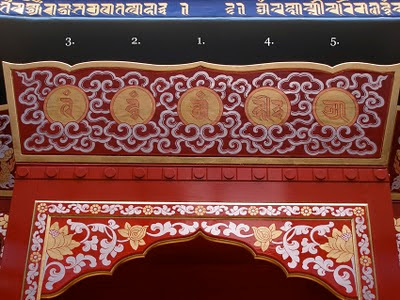 A detail of the peaceful form of Vajrapani. The mantra of Vajrapani reads: oṃ vajra pāṇi hūṃ. 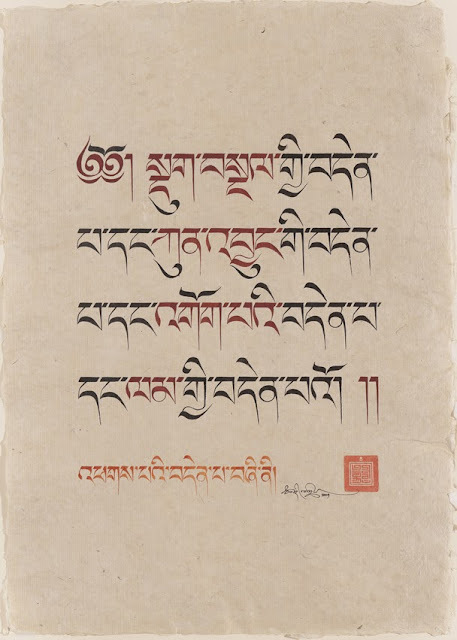 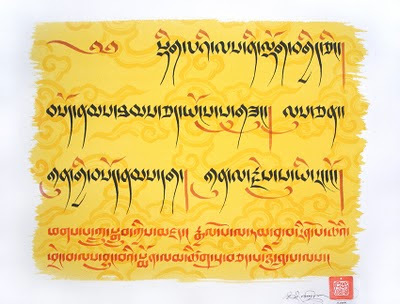 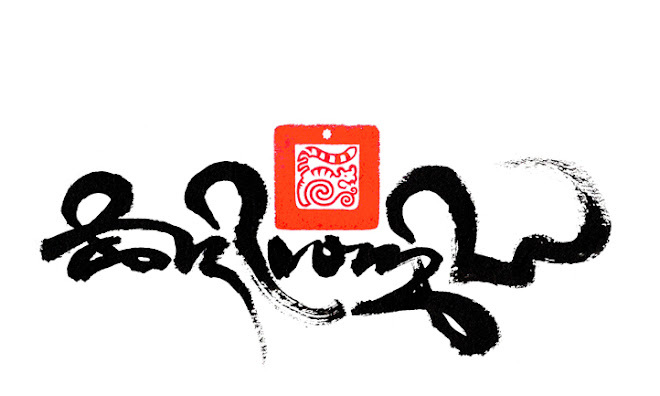 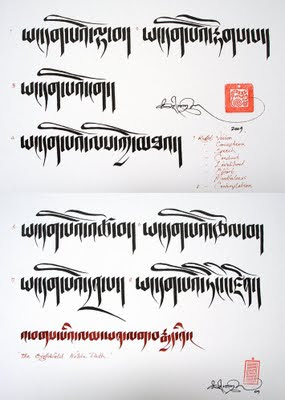 nicknamed the Pani mantra, is shown above in the Tibetan Uchen script style. 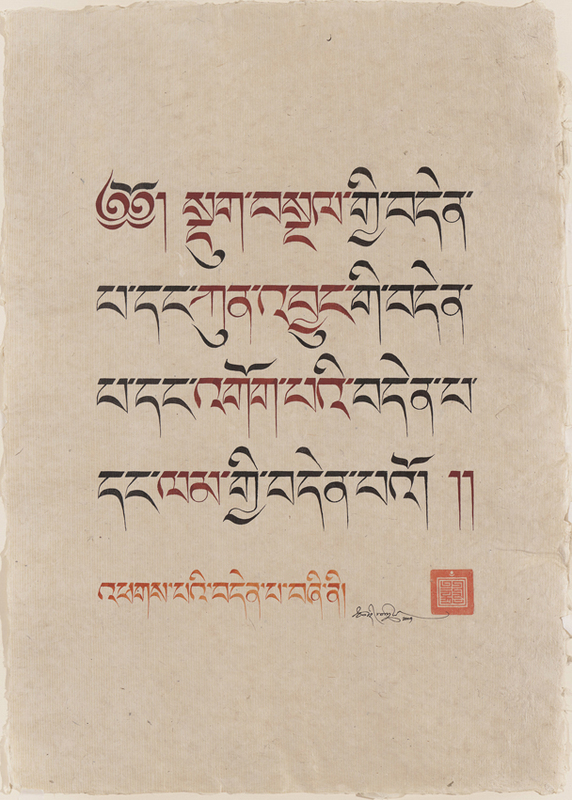 In this calligraphy the vowel signs have been highlighted in blue colour associated with the great Bodhisattva. 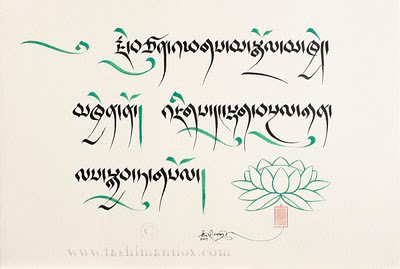 The Tibetan pronunciation of this mantra is om benza pani hum. 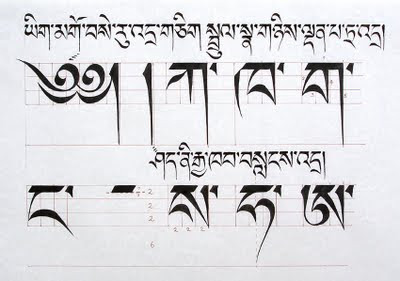 The pronunciation differs from the Sanskrit because there is no V sound in the Tibetan alphabet. 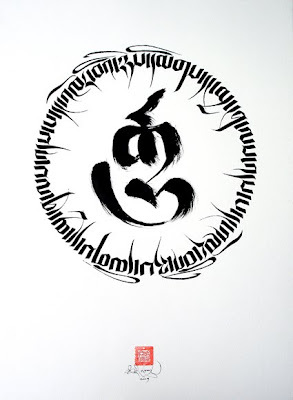 The above mantras and similar are available as high-resolution down-loads that can be printed and taken to your tattooist as a quality tattoo template. 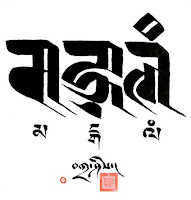 Please follow this link to browse hundreds of classic tattoo designs of mantras, Key words, meaningful phrases and iconic symbols, in a choice of the various beautiful Tibetan script styles, that offer inspiring and empowering options for your personal tattoo.